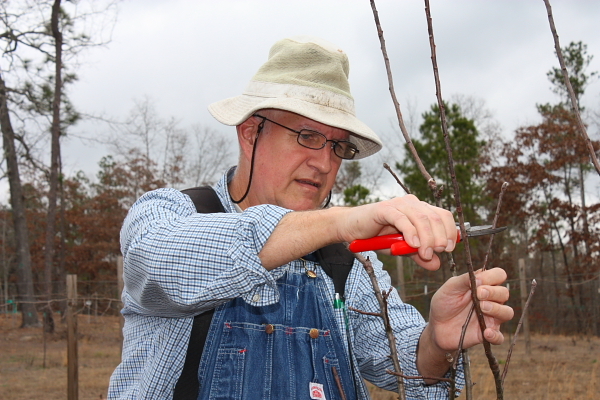 It’s February; for us here at Longleaf Breeze, that means it’s time for pruning many of our fruit trees. It’s actually a little more complicated than a simple “February is Pruning Month” approach. We could start a little earlier with muscadines, and we need to wait later for peaches, plums, and figs. And blueberries and blackberries are on a completely different schedule with most of their pruning happening after they’ve finished bearing. But February is still the big month for fruit tree pruning, when we look in on apples, pears, persimmons, and any muscadines not already done. I love pruning time. I can work quietly using no noisy equipment and no ear protection. And pruning is a time to think about the future, trying to guess where the tree wants to grow and deciding whether I want to let that happen. I love how quiet it gets in the orchard while I’m pruning this Southern Gold apple. Flickr’s down right now; I’ll add the high-res version as soon as it’s back up. Here’s the article I wrote a few days ago about fruit tree pruning season. 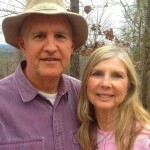 Previous Previous post: Podcast #224 – If You’re Serious About Longleaf Pines . . .
Next Next post: We Have Bass!